Get excited, colorful hair lovers! 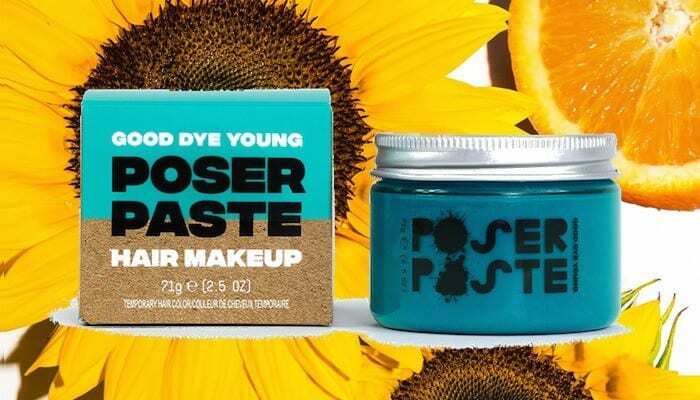 Good Dye Young has just rolled out four new shades of its popular temporary hair dye line Poser Paste. They’re the latest vivid hues from the company founded by Paramore‘s Hayley Williams. “introducing 4 new shades of #PoserPaste to complete your lineup!” the outfit tweeted on Tuesday. “Rock Lobster, Kowabunga, Narwhal, and PPL Eater are here to help you #dyehappy.” Call us posers, but we want them all! The new shades join the charity-minded business‘ other Poser Paste pigments such as “Steal My Sunshine,” “Ex-Girl,” “Blue Ruin” and the cantaloupe-colored, Paramore-themed “Riot” style that debuted with the company’s 2016 launch. introducing 4 new shades of #PoserPaste to complete your lineup! Rock Lobster, Kowabunga, Narwhal, and PPL Eater are here to help you #dyehappy ???????????????? Good Dye Young devised their Poser Paste (or hair makeup) as a simple solution for those of us who want to rock some vivaciously vibrant colors atop our noggins, but don’t want a multicolored mane that lasts beyond a single wash.
Are you ready to dig into some of the new Poser Paste colors? Have you used any Good Dye Young products in the past? Sound off in the comments section, below, and let us know what hair color you’re planning on rocking next!